Most Able Provision within St Cuthbert Mayne is a central part of supporting the school’s ethos of “a tradition of caring and excellence”. We of course recognise that every child is an individual, and as such, has very different learning needs. We encourage our most able to promote our core values both inside and outside school. Our most able learners need the same nurturing and support in order to both develop and thrive in their areas of specialism. We view most able provision as key in helping each learner to reach their full potential, achieve the highest academic standards possible, increase a sense of academic independence and equip them with the skills and experiences that will allow them to thrive as important members of society. 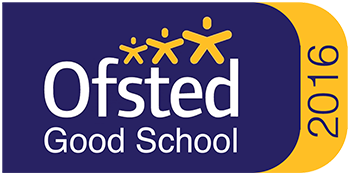 Identification by achievement: students who achieved level 5 and above at KS2 or with a CATS score of 120+ will automatically be entered onto the most able register. Identification by colleagues: Learners can be entered onto the most able register on the recommendation of colleagues using their professional expertise. While these students may not qualify using the above criteria they will be excelling in the nominated subject or would benefit from the opportunities available to most able students. All these nominations are supported with evidence in support. All teaching staff provide opportunities to stretch and challenge our learners within lessons and through home learning. All students nominated as most able will have this highlighted on the school recording systems. The most able Register will be available to all staff, helping to inform planning and future provision.